President Obama plans to name Air Force General Lori Robinson as the new head of U.S. Northern Command. It just so happens, on top of all that, Carter said, that Robinson will also be the first woman to be appointed to such a post. “That shows yet another thing – which is that we have, coming along now, a lot of female officers who are exceptionally strong. And Lori certainly fits into that category,” Carter said. If the Senate approves of Robinson’s nomination, she will oversee military operations in the continental U.S., Alaska, Canada and Mexico. She would be one of six regional combat commands that oversee military operations around the globe. This announcement follows a noticeable trend a growing female equality within the military system, including the historical 2013 directive to open all combat jobs to women by 2016, the heralded addition of the first female Rangers and the swearing in of the first female commandant of cadets at West Point. 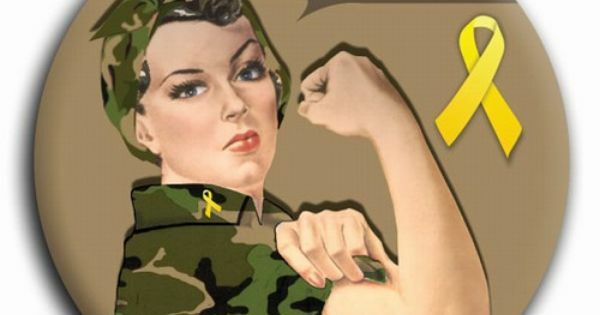 It seems the iconic Rosie the Riveter and her “We can do it” attitude is back – but this time she’s wearing camo.